ITV Hub (formerly ITV Player) is an online video on demand service accessible though the main ITV website itv.com. The service offers a variety of programmes from homegrown programming to imports across ITV, ITV2, ITV3, ITV4 and CITV. Some sports programming is available to watch again via the service, the 2010 FIFA World Cup and highlights being examples. Some programmes, imports and movies are not currently available due to rights issues, and until the latest version, most children´s programming in particular was generally unavailable. Programmes are available for 30 days on the site after being first shown on ITV. The service was originally called ITV Catch Up but was then rebranded ´ITV Player´ on 5 December 2008 as part of ITV´s aim to create a recognisable and consistent brand for video-on-demand content across the web and TV. ITV Player is also branded as ITV Net Player and referred to as the ITV Network Player in branding and communication around programming intended for consumption across the UK, such as on Virgin Media. In November 2015, ITV gave the app and website a revamp, it was renamed ´ITV Hub´ and was given a new look and logo. The service started out as a website before being extended to television and other platforms. Initially the website version used Microsoft Silverlight as opposed to Adobe Flash (used by BBC iPlayer and Channel 4´s 4oD) and Windows Media Video. 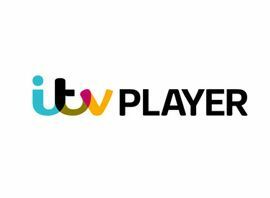 ITV adopted Flash for its player on 15 September 2009. In November 2009 the website was revamped again improving navigation as well as making the site more visually appealing. The service is free to use funded by pre-, mid- and post-roll adverts. Previously users have been able to use ad-blocking software to skip the adverts shown. During Summer 2010, the ITV website was upgraded to detect ad-blocking software. Video is sent at multiple bit rates and uses adaptive technology in the player to best determine rate based on users connection. Content that has only aired on ITV (rather than also on ITV2, 3, 4, or CITV) is only available to viewers located in ITV plc regions (in England, Wales, the Channel Islands, and southern Scotland). If the programme was also aired in Northern Ireland, or central and northern Scotland, then users located in those areas may be able to view it on the catch up services of UTV and STV respectively. The ITV Player website will attempt to detect your location automatically, using that provided by your ISP.